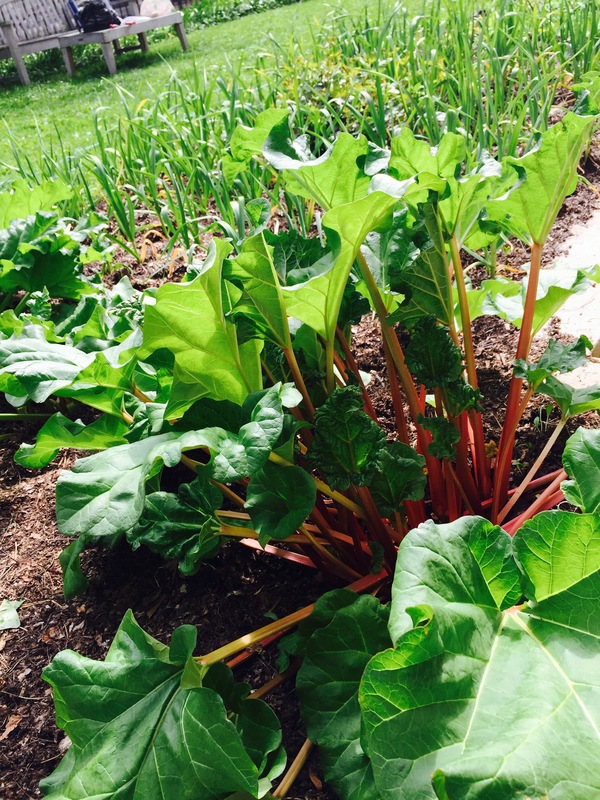 Rhubarb is always one of the first things up in any edible garden. 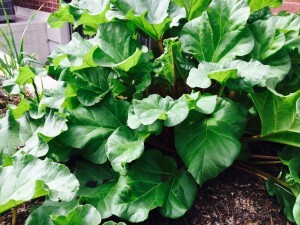 It’s a hearty, cold weather perennial plant. Only the stalks, called petioles, are edible. The leaves are toxic because of a concentration of oxalic acid (which also exists in the stalks in non-harmful quantities.) Rhubarb was slow to gain popularity because of its lethal leaves. Rhubarb as we know it was cultivated in the Middle East in Antiquity and continues to flavor drinks and stew meats there. The Chinese have used the root for medicinal purposes for millennia. 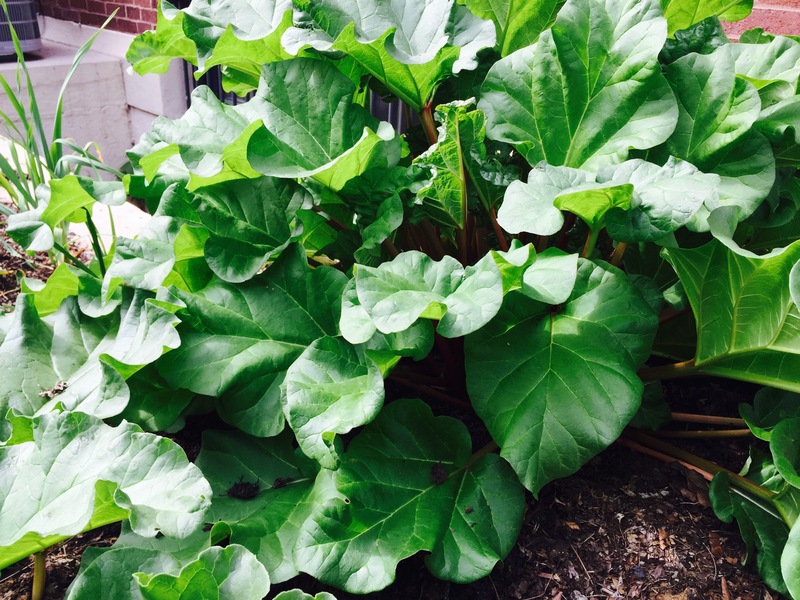 Europeans were late adopting rhubarb because early experimenters purportedly dined on the leaves too with dire consequences. It wasn’t until juicy, tender strains were cultivated in the 19th Century that people began to enjoy the stalks in England and North America. 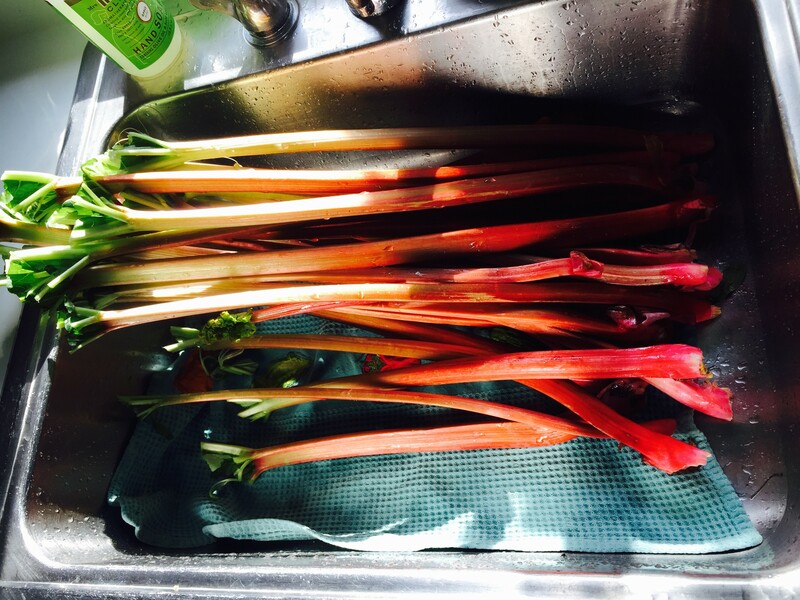 As you can see, you harvest rhubarb by pulling out the larger stalks. The best way to remove a stalk is to reach down to its base at ground level and tug it out. 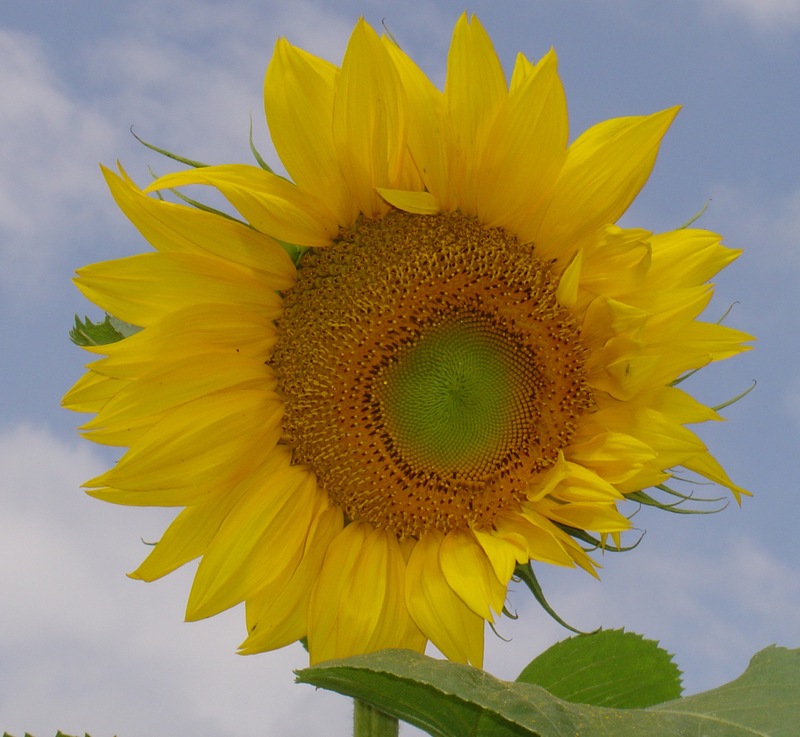 The entire stalk will come right out of the base of the plant. If it should break, not to worry just cut if off at ground level. Lots of things to do with rhubarb. If you’re not sure what to do, you can wrap the stems in plastic and freeze it until you’re ready to cook it. I often chop the stems and boil them with some cane sugar to make a sauce which is lovely over vanilla ice cream or plain yoghurt. Of course, there’s strawberry-rhubarb pie and apple-rhubarb cake. 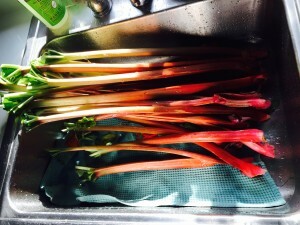 More on rhubarb in meat stews to follow. This entry was posted in harvesting, rhubarb. Bookmark the permalink.